The annual engineering exhibition is held every April, and is open from 2-8pm. See CIT news page for details closer to the date. All final year student projects are on display with students in attendance. All welcome. Free admission. 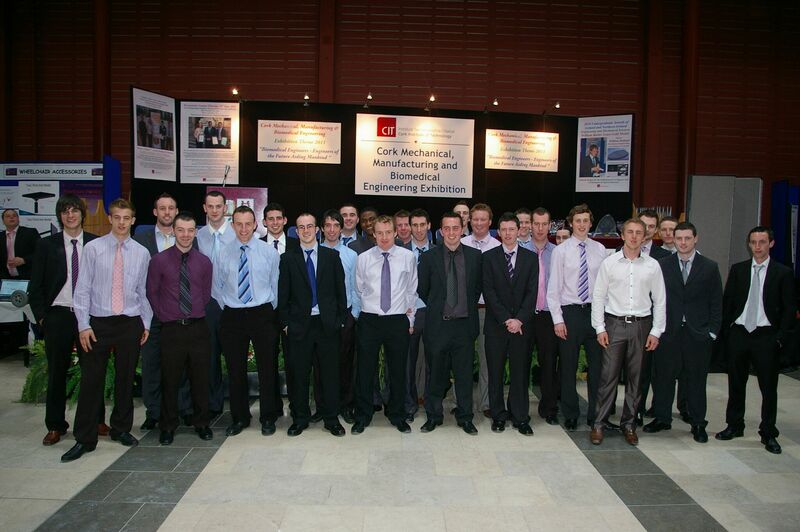 The ANNUAL CIT Engineering Exhibition IS HELD EVERY APRIL in the Nexus Centre in CIT. The Engineering Exhibition consists of nearly 200 stands. The exhibition is the largest of its kind in the country and showcases the results of final year projects from the programmes in sustainable energy engineering, chemical engineering, mechanical, manufacturing, biomedical, and building energy engineering. The Research Projects are worth 15 credits and is undertaken over both final year semesters, this is an opportunity for the students to present their capabilities to the industrial visitors to the Exhibition. Family guests, friends, fellow students and staff also attend the event that is open from 2-pm. Dates of future exhibitions will be posted on the CIT news page. Below are a few pictures from previous exhibitions.